What Should I Do After Being Hurt in a Car Accident? Is a Police Report Necessary? Why Should I See a Chiropractor After Being Hurt in a Car Accident? How Long Do I Have to See a Doctor After an Auto Accident? Why Did My Pain and Injury Symptoms Not Appear Until Days After the Accident? What Are the Most Common Injuries Associated with Car Crashes? How Long Will I Need to Receive Chirorpactic Treatment? Should I Give a Statement or Accept a Payout from the At Fault Driver's Insurance Company? What Types of Compensation Can I Receive in a Settlement? Being involved in a car accident can be a stressful time. If this is your first wreck, or even if it is not, you most likely have a ton of questions and don't know what steps you need to take next. 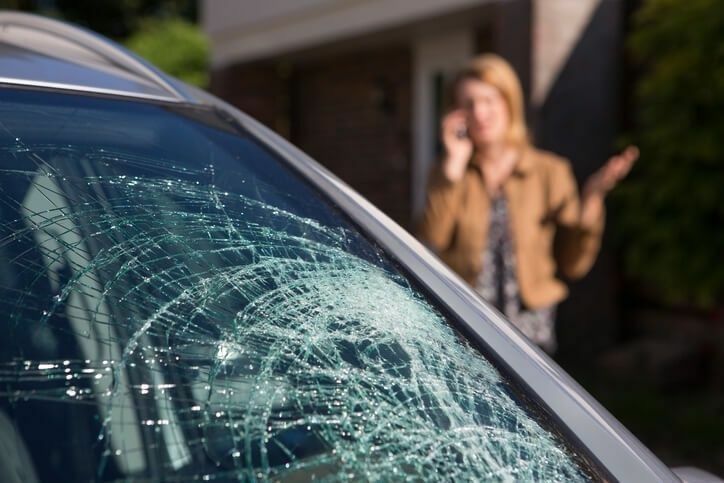 We understand better than anyone how difficult this time can be, so we have compiled a list of the most common questions auto accident victims ask. Read the questions and answers below if you have recently been in a motor vehicle crash and don't know what to do. 1. What Should I Do After Being Hurt in a Car Accident? If you are still at the scene of the accident, there are many things you should do. First and foremost, check to see if everyone is okay and if an ambulance is needed. If everyone seems to be fine, call the police but let them know everyone is fine and an ambulance should not be necessary. An officer will arrive at the scene shortly and properly evaluate and then document the accident, ticketing the driver that caused the wreck. In the meantime, take pictures of the accident scene, damage to vehicles, your surroundings, weather conditions, traffic signals, position of each vehicle, your visible injuries or lacerations, and street signs. These photos can be used as valuable evidence later if you choose to file a lawsuit against the negligent driver. 2. Is a Police Report Necessary? Getting in touch with the police department is important after an automobile accident. A police report is immensely helpful if the at-fault driver's insurance company disputes the claim. If a police officer came to the scene and created official documentation that states the other driver was at fault, it would be incredibly difficult for the other driver, or their insurance company, to fight the claim and get out of paying for the damages they caused. 3. 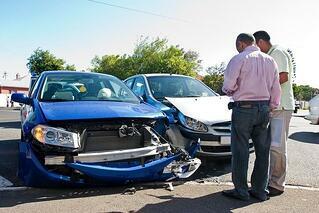 Why Should I See a Chiropractor After Being Hurt in a Car Accident? We recommend that every individual hit in a car accident should see a doctor regardless of the presence of pain. Most injuries take some time to set in and it is better to be safe than sorry. So, see a doctor for your own health and well-being to make sure you are not injured, or to treat injuries that have already presented themselves. It is also crucial to see a doctor if you expect to file a claim against the negligent driver and have their insurance company pay for your medical bills. 4. How Long Do I Have to See a Doctor After an Auto Accident? Every state is different, but we recommend seeing a chiropractor within the first 72 hours following your accident. This is regarded as a "reasonable" amount of time to seek treatment for injuries caused in a car accident according to most insurance companies. Waiting more than a few days or even a week can potentially jeopardize your chances of being reimbursed for your damages and expenses, and also lessens your ability to win a personal injury lawsuit against the negligent driver. So do not wait to see a doctor, even if you do not feel injured the day of the accident. We always advise crash victims to see a chiropractor to ensure they do not have any underlying injuries that have not presented symptoms yet. Be safe, not sorry. You do not want your pain and injury symptoms to surface a week or two later and no longer have the facility to be compensated for your injuries, pain, and suffering. 5. Why Did My Pain and Injury Symptoms Not Appear Until Days After the Accident? Many people do not experience pain immediately following their accident, even if they did suffer a serious injury that will require treatment. This is due to the release of adrenaline and other hormones that mask the pain for a short period of time. This is why it is so important to take initiative and seek medical treatment despite the presence of pain and injury symptoms following your accident. Your body produced a ton of adrenaline to help you cope with the trauma of the car accident and when that adrenaline fades, the pain will set in and you better hope it is not too late to see a doctor and be compensated for your necessary treatments. 6. What Are the Most Common Injuries Associated with Car Crashes? 7. How Long Will I Need to Receive Chiropractic Treatment? There is no exact amount of time that a patient will need to receive treatment. Each individual's accident and injuries are different and the longevity of their treatment is dependent on the severity of their condition. Some accident injury victims suffer permanent injuries that will require treatment for the rest of their lives, and some crash victims suffer minor injuries that only require a few back and neck adjustments to get everything re-aligned and back to optimum functioning level. A free consultation with a chiropractor can be a great benefit and indicator of how serious your injuries are and how long you will require treatment for your specific condition. 8. Who Will Pay For My Medical Bills and Other Damages? If you were not at fault in the accident, the careless driver who caused the wreck should be responsible for all of your medical bills, damages, and other miscellaneous expenses. In order to protect your legal rights, be sure you follow all of the necessary steps, like gathering evidence from the scene of the accident, obtaining a police report, scheduling an appointment with a doctor or chiropractor, and contacting an attorney for legal advice. All of these steps are important to winning a lawsuit against the negligent party and receiving the compensation you deserve. 9. Should I Give a Statement or Accept a Payout from the at Fault Driver's Insurance Company? We would advise you to decline speaking with the other driver's insurance company. You can have your insurance company or lawyer handle all of these negotiations. Even if you believe you are not saying anything incriminating, the other insurance company can be tricky, dishonest, and twist your words. The best way to avoid compromising your settlement is to decline talking with them. If they get you on the phone, they will act kind and concerned, asking you about the accident and how you are feeling. This is simply a tactic used to obtain the information they can use against you in court. They will also most likely offer you a low-ball amount of money hoping you will naively accept this first offer. They know that an attorney will make them pay more money and they will be responsible for covering all of your damages, medical bills, and other expenses, so they want you to agree to a lower number, therefore forfeiting your right to further compensation. 10. Do I Need a Personal Injury Attorney? If you were the victim of a car accident, retaining an experienced personal injury attorney could be extremely advantageous. An attorney can protect your legal rights and fight for your deserved settlement. Although it is not necessary to get an attorney, the insurance companies hire powerful firms to represent them, leaving the unrepresented party at a great disadvantage. Most car wreck lawyers do not charge any upfront fees and will cover your medical bills and treatment until you receive your settlement. These are just some of the benefits hiring a lawyer can bring. 11. How can I Afford a Personal Injury Attorney? We understand that most people can not afford to pay the hourly rate of an expert legal team. But by retaining a car accident lawyer after your accident, you can rest easy knowing you will never be expected to pay an attorney any money unless they win your case. Once you obtain your deserved settlement, a small percentage of their legal fees will then be deducted from the total amount. 12. What Types of Compensation Can I Receive in a Settlement? There are a few different types of compensation you can pursue after a car crash in which you were injured. If you were recently involved in a motor vehicle accident, do not hesitate to contact a professional personal injury chiropractor at Arrowhead Clinic for further assistance. 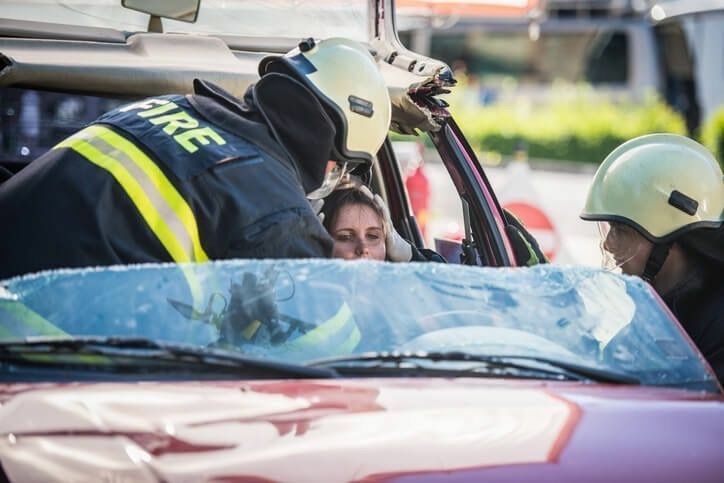 Our doctors have over 40 years of experience treating victims of car crashes, and getting them the legal help they need to obtain compensation for their losses. Don't wait, click on the button below to schedule a Free car accident injury Consultation today.